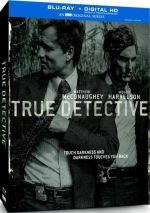 When fans heard that HBO would air a second year of True Detective, they likely believed they’d see a continuation with the characters found in Season One. However, Season Two failed to do so, as it provided entirely new characters and situations. The Blu-ray set spreads all of Season Two’s eight episodes across three discs. The plot synopses come straight from the Blu-ray menus. Going into Season Two, I knew little about it beyond its lead cast – and the fact a lot of fans apparently didn’t like it much. After a successful first season, year two seemed to lose a lot of them with what I heard was a confusing narrative. Despite those warnings, I hoped Season Two would be better than I’d heard. Of course, I won’t judge the entire year based on the first episode, but “Book” launches the story in a reasonably intriguing manner. The program manages to introduce the main characters well and launch the investigation that will dominate the narrative. This doesn’t mean “Book” lacks drawbacks, however. For one, the leads all seem so bitter and unsavory that eight hours with them may become a chore. In addition, “Book” presents some rather theatrical dialogue via lines like “never do anything out of hunger – not even eating”. Who speaks that way? No one, and a full season of overbaked dialogue might grow old. We’ll see. Right now, “Book” leaves me in a state of guarded optimism. It doesn’t dispel my fears but it opens the year well enough to make me curious to see where True Detective will go. With “Night”, we get what I perceive – so far – to be the series’ strengths and weaknesses. On the negative side, we see some of the overcooked dialogue and character-based meandering I already mentioned. The show opens with Frank’s pretentious musing about whether or not he really exists. Perhaps this theme will become meaningful eventually, but right now, scenes like that feel pointless. Despite those tendencies, “Night” manages to advance the main narrative fairly well. The series favors indulgences into the characters’ subtexts to add some depth, and it pursues the murder investigation well enough to stay on target. This isn’t a tight, “Point A to Point B” tale, but it doesn’t need to be, and it progresses in a positive manner. While prior episodes balanced character areas and the investigation, “Tomorrow” tends more toward the former category. That makes it less focused than its predecessors, but not in a bad manner. “Tomorrow” does enough to advance the overall plot to keep us with it, and it helps embellish the roles in a satisfying way. Once again, “Down” gives us a show in which the murder mystery takes a back seat to character domains. So far, I don’t think that’s a problem, but I must admit I’d like to see the series focus more on the investigation. Parts of “Down” meander, but enough of it hits the target to keep us with it, and a jolt of action toward the end rouses the series from its semi-slumber. 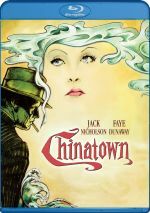 After the violence that ended “Down”, “Lives” offers a pretty radical change for Ray, and that creates an interesting twist. Ani at a sexual harassment seminar also gives the series a little much-needed humor. The investigation takes a firm backseat and some of the character bits drag, but the show comes with an unusual change of pace that mostly works. At this point in Season Two, you either buy into the style on display or you don’t – none of the progressing episodes change matters in a way to alter perceptions. While I can see why some feel turned off by Season Two’s somewhat plot-digressive nature, I think it works, and “Church” continues the intrigue. In particular, Ray’s family issues create drama, and the investigation deepens in compelling ways, especially when Ani puts herself at risk during a seedy party. As the season nears its conclusion, various matters heat up, especially in terms of Frank’s arc. The various elements combine well and make this a provocative episode that pushes us toward the finale. Season Two’s narrative ends with a reasonable flourish. Too much of the show suffers from this year’s signature pensive chattiness, but it still pays off in a fairly satisfying manner. Don’t expect a happy ending – that wouldn’t suit the series – but anticipate one that ties up events well. 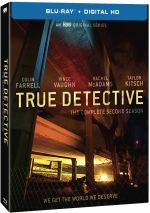 True Detective appears in an aspect ratio of approximately 1.78:1 on these Blu-ray Discs. Across the board, the shows looked positive. Overall delineation seemed strong. A few interiors could be slightly soft, but not to a substantial degree, so the episodes mainly delivered neat, precise imagery. Neither jaggies nor moiré effects created concerns, and I saw no edge haloes. Source flaws also created no distractions. Should one expect Hollywood Standard orange and teal here? Yes, one should, as those tones dominated. That made for a tedious palette, but I thought the Blu-rays replicated the hues in an appropriate manner. Blacks were dark and deep, and most shadows looked smooth, despite a few of those mildly dense interiors. Enough about the image worked well to make this a “B+” presentation. As for the series’ DTS-HD MA 5.1 audio, it showed reasonable involvement. Given the episodes’ general chattiness, the soundscape often stayed restrained and emphasized music/dialogue, but good ambient effects bolstered the experience. A handful of more action-oriented moments opened up the track in a pleasing manner. For example, explosions and gunfire during Episode Four managed to bring the mix to life in a compelling manner. We didn’t get a ton of those moments, but they added pizzazz when they occurred. In terms of extras, we find audio commentaries for two episodes. Alongside “Down Will Come”, we hear from series creator/executive producer/writer Nic Pizzolatto and actors Colin Farrell, Vince Vaughn, Taylor Kitsch and Rachel McAdams, while “Omega Station” gives us Pizzolato, Vaughn, Farrell and executive producer Scott Stephens. In these, we learn about story/character areas, music, cast and performances, sets and locations, and other production logistics. Woof – what a poor pair of commentaries! The participants allow a lot of time to pass without any statements, and when they do speak, they tend to offer banal remarks about the show that fail to deliver real insight. A handful of decent details emerge, but we don’t learn nearly enough to make these slow, tedious commentaries worth a listen. We also get three featurettes. Making the Vinci Massacre runs 29 minutes, 28 seconds and offers info from Pizzolatto, Stephens, Farrell, Kitsch, McAdams, director Jeremy Podeswa, location manager Michael Chickey, director of photography Nigel Bluck, stunt supervisor Mark Norby, production designer Alex DiGerlando, prop master Linda Reiss, VFX explosion supervisor Gary D’Amico, and stunt driver Jose Luis Vasquez. As implied by the title, this piece looks at the staging and shooting of the series’ big action sequence. “Making” offers a tight, informative overview of this major segment. During the 10-minute, 16-second A Look Inside True Detective, we hear from Farrell, McAdams, Vaughn, Kitsch, and Stephens. “Look” examines story/character areas as well as sets/locations, music, and Pizzolatto’s impact on the production. We get a handful of decent notes but “Look” mostly remains superficial. Finally, True Detective’s California lasts three minutes, 56 seconds and features a visual view of the series’ locations. This becomes an odd form of music video and feels fairly pointless. Though occasionally a little more pretentious than I’d like, Season Two of True Detective usually succeeds. It tells a complex tale of murder and deceit in a manner that keeps us involved across its eight episodes. 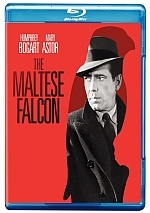 The Blu-ray provides positive picture and audio along with a smattering of supplements. Mostly engrossing, Season Two continues the True Detective brand well.